I graduated from the University of Greenwich in 1997 as a teacher of secondary physical education and science and spent a few years teaching in inner London in a mainstream girl’s comprehensive school, in a school for junior pupils with profound disabilities and in a pupil referral unit. I found working with pupils who have problems with their behaviour to be both challenging and rewarding and after moving up North to Warrington I specialised in that area. I spent seven years teaching in schools for pupils with behavioural, social and emotional difficulties, most notably at Chaigeley School in Thelwall. During that time I learned a lot about how children’s behaviour manifests itself because some needs are not being met and the importance of earlier life in shaping them. In 2009 I became a childminder when I took a break from supply teaching to give Sally a maternity break when she had our 3rd son. This changed my direction to working with children in the Early Years Foundation Stage and I have thoroughly enjoyed it. I can now see how important it is to give children a good start in life as I have seen the other end of the spectrum from working with troubled teenagers. Early in 2012 I discovered Forest School when doing volunteer work for NCMA Local – now PACEY Local. (Sally and I were facilitators and rolled out this DfE/NCMA pilot scheme across Warrington, which has now gone national.) When I invited a forest school practitioner from Delamere Forest to give a talk about it to local childminders and nannies it struck me as a fantastic way to work with children. 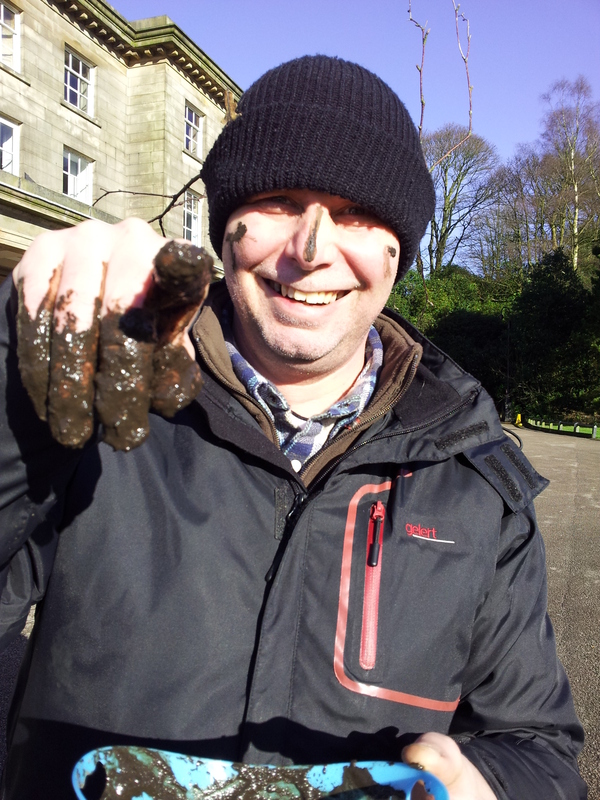 I was hooked, and attended a teacher training day at Delamere Forest and was inspired further. I took loads of ideas back to my practice and really enjoyed seeing how the children responded to it. I signed up to do the practitioners level 3 award and completed the initial training week in August 2012 completed the assessment in August 2013. I am a member of the Forest School Association. I am currently delivering Forest School for many schools and home educated children across Warrington and Cheshire. I was accredited with Early Years Professional Status in July 2013. In November 2016 we took on Adlington Woods which I now manage with a team of dedicated staff. I am subscribed to the DBS update service, please ask if you need my reference number. After working with children of different ages throughout my career I feel the early years are the most important. They are the foundations for life long learning, health and behaviour. The child’s brain develops more than any other time in its life. The early years experience of things the child’s sees, hears, touches, smells and tastes, stimulates the brain creating millions of connections and shaping the adult the child will become. I believe the forest school ethos provides a rich, stimulating and natural learning environment through a child led approach supported by experienced and caring adults therefore I have followed my dream of opening an outdoor forest school preschool. I have completed training as a forest School level 3 leader. I am Paediatric first aid trained and have my outdoor first aid. I have a Foundation Degree in Early Years, an HNC, an HND and an NVQ Level 3 all in within childcare and early Years. With 20 years of experience working with children in different settings, including mainstream schools, Special Schools, Pupil Referral Unit, Special needs, after school clubs, accredited childminding and PreSchool. I have completed a Level 3 award in Supporting Children and Young People’s speech language and Communication and thoroughly believe the outdoor environment is the best place for language development, learning speech through first hand experiences. I have attended courses on Raising Early Achievement in Literacy (REAL), Raising Early Mathematical skills, Communicating friendly spaces, Portage training, working with vulnerable 2 year olds, Understanding and Supporting Children’s Pro-Social Behaviour, Phonics, Listening as a Way of Life, Working with Vulnerable families, Special Educational Needs Co-Ordinator, (SENCO), Makaton, Montessori, Domestic violence and Visual impairments (to name just a few). I have taken part in research with the National Children’s Bureau in Raising Early Mathematical Skills which is a follow on study from Raising Early literacy skills (REAL) and have most recently attending Yoga training to start implementing bits into our forest school sessions. After an initial idea in 2012 of a Forest School Pre-school I went onto completing my forest school training and opened up Grappenhall Nest in the Woods Preschool. In September 2016 just 12 months after opening our Grappenhall site was inspected by Ofsted and got Outstanding in all areas. In November 2016 we took on the woods at Adlington and in October 2017 we opened up our second preschool site Adlington Nest in the Woods Preschool which we hope will prove to be just as successful. I am a member of the Forest School Association and have subscribed to the DBS update service, please ask if you need my reference number. 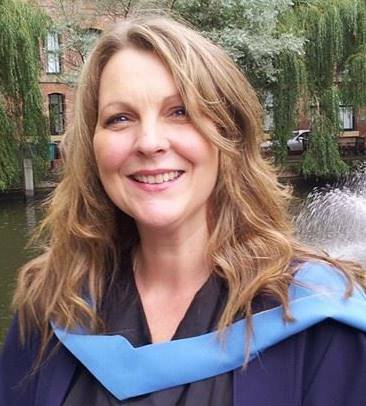 I am a qualified teacher with a degree in Linguistics and a PGCE in Primary Teaching. 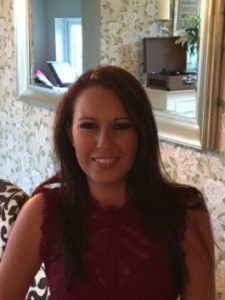 I have 10 years’ experience working with children in schools and Preschool as both a Teaching Assistant, Teacher and a deputy Manager at a local Preschool. As a teacher I have taught children across the primary age range from Nursery to Key stage 2. I have been able to experience first-hand the benefits of Forest School. I have watched children become more independent and self-confident whilst engaged in child-led learning. Their natural curiosity and motivation to discover and challenge themselves is clearly visible. The opportunity for learning to manage their own risk taking builds confidence and their pride in their accomplishments is evident. The experience I have gained from being part of Forest School sessions has challenged my understanding of what high quality early years provision should look like. I have found it refreshing to work in a truly child led way with minimal additional resources needed and was immensely proud when after just 12 months of opening we gained Outstanding in all areas on our first Ofsted. I am Level 3 forest school leader qualified, Paediatric first aid and outdoor first aid qualified and have attended courses on food safety, speech and language, tremendous two year olds, Role of SENCO, Portage training, Early language development, phonics letters and sounds, behaviour management and safeguarding. I am now completing a Level 3 Early Years Senco Award and have recently attending yoga training to start implementing ideas into our daily practice. 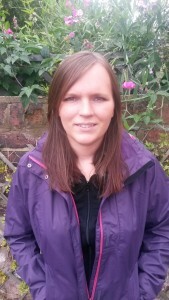 I have moved up to Manager of the Grappenhall setting allowing Sally to focus more on our Adlington Site. I am extremely passionate about Forest School and the whole Forest School ethos and have been for a long time. I left my job within a secondary school as a horticulture teacher and head of department, delivering a Level One Certificate in Work-Based Horticulture to take up the post of Forest school leader for Learning in the Woods, Nest in the Woods community interest company. I am forest school Level 3 qualified and have outdoor first aid. Highlights have been taking a group of pupils twice to compete in the Schools Garden Competition at the RHS Tatton Flower Show. Organising annual Apple Day Events in partnership with local primary schools. I have 15 years teaching experience working with children and young people of varying ages and ability. I have taught art and crafts, horticulture and garden design within adult education, including five years experience of working with adults with learning difficulties. For the last nine years teaching level 1 in work based horticulture to children from key stages three and four. Teaching horticulture, to key stage 2 pupils, from the local feeder primary schools. Teaching horticulture, to a mixed year group, from the Designated Provision Unit. I am an enthusiastic gardener and I have a great love of the outdoors. From a young age I have been passionately interested in plants, natural history and the environment. For my own interest I am presently studying botany through the online Identiplant course and I have attended yoga training which I hope to bring some ideas into my work with schools. I am a member of the forest school association and have subscribed to the DBS update service, please ask if you need to see my reference number. During my years at high school I joined the Air Training Corp. I remained for four years and achieved rank of Senior Sergeant, the highest ranking cadet at the squadron. In cadets I also received my Squadron Marksman, First aid, Btec in leadership and a Btec in Aeronautics. I specialised in teaching drill and field craft. My hobbies include guitar, skateboarding and photography and videography, I’m also a freelance photographer. After leaving school I went to Macclesfield college to do an apprenticeship in Play Work working at Adlington woods then called Wacky Woods. I have now completed that apprenticeship and my level 3 Diploma in childcare. I hope to start my forest school leaders course in the near future. I enjoy all aspects of forest school and love to watch how children progress and become more confident in a woodland setting using tools and playing in mud. I am paediatric first aid trained and have subscribed to the DBS update service please ask if you want to see my reference number. Having three children has allowed me to experience several different Preschools and what they offer so I was intrigued to learn about Nest in the Woods. My youngest child attended Forest School sessions provided by Learning in the Woods at his Preschool and they were always the highlight of his week – I saw him come home with rosy cheeks, always happy and energised. With all my children now at school I decided to persue a career in childcare. My children are my world and I can think of nothing more fulfilling than looking after children and helping them to grow and learn. I have A levels in Art, English and Geography and have just completed my Level 3 Diploma for the Early Years practitioner alongside attending safeguarding and paediatric first aid courses, I have attended yoga training. I am qualified in Forest school Level 3 and outdoor first aid. I feel its important for children to have the chance to learn outside and I’m thoroughly enjoying being part of it. I have subscribed to the DBS update service please ask if you need my reference number. My best achievement to date is a being a Mum to my two fantastic children! Becoming a Mum and experiencing everything that goes with it, inspired me to become involved within the Childcare Profession. I began volunteering at my previous setting and progressed to becoming employed and undertaking a Diploma in the Children and Young Peoples Workforce. The time I have spent working with children has helped me to understand how fantastic they are at learning through play and how a variety of experiences enhances this learning. Being involved with Forest School sessions has reinforced my belief that outdoor learning and its process can help children to learn in a new, natural way, helping to develop skills across all areas. I am passionate about children’s learning and development and sharing their learning journey in the early years. I enjoy working with children and parents in helping them to develop speech and language through the ECAT (Every Child a Talker) programme. I am excited to be a part of Nest in the Woods, something I know is going to be a huge success and really rewarding to enrich the lives of many lucky children. I have recently attended yoga training, I am completing my forest school level 1, I am paediatric first aid trained and have subscribed to the DBS update service please ask if you need my reference number. I love the outdoors and try to walk or run somewhere in the fresh air everyday. I also enjoy orienteering, reading, languages and travel. I help at the local Sunday School and am an Assistant Leader at the local Beavers. I am a qualified secondary teacher and worked for many years as a languages teacher: French, German and Spanish in a busy high school but once I became a parent I had a change in direction. I have retrained in early years and have completed the Level 3 Diploma Early Years practitioner. I am paediatric first aid trained and have recently attended yoga training. I have subscribed to the DBS update service. I am the mother of two young girls, one of whom has attended Nest in the Woods and the other joins in with Den in the Woods (holiday club). They both love Forest School and I have enjoyed watching them grow in confidence in themselves as well as playing with others. It has reminded me of all the time I spent outdoors as a young child and I am a firm believer that role play, calculated risk taking and learning through play will contribute to a well rounded individual. 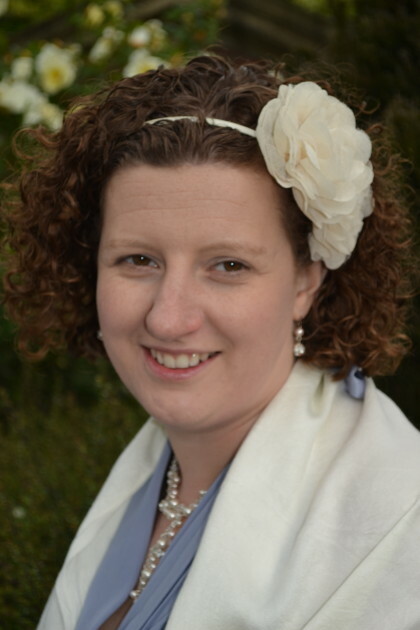 I am a qualified teacher with a BSc in Mathematics and PGCE in Secondary teaching, giving me six years experience working with children in mainstream high school. Within this setting I have been a Deputy Head of Year, been a part of the safeguarding team, worked in the special needs department providing one to one tuition with pupils and have run after school clubs. After taking a step away from Secondary school education I now wish to be a part of developing our young children. Forest school is an excellent setting for this and I am very much looking forward to watching every child build on their own confidence and self esteem. I have started Level 3 Diploma Early Years practitioner and am completing forest school level 1. I am a scientist, with masters degree in Physics and Astrophysics. I have always loved the outdoors, and spent considerable time hiking in the Bulgarian mountains. After I graduated I worked as Mountain Guide for a Danish travel agency for 4 years and qualified as a Mountain Leader in 1999 (Sofia). I have a very diverse range of interests, hobbies and work experiences. After the birth of my son, I became more and more interested in education, and especially early years. I spend some time as a volunteer with my son’s nursery. They were very good at providing the children with the resources to organise their play outdoors and be creative. I was impressed by the enthusiasm and the ease the children were responding to all activities outdoors. As a child, I was lucky to spend the summer months exploring the fields and mountains with minimal supervision. Looking back, this part of my childhood has enabled me to develop an inquisitive mind, and grow in confidence both physically and socially, and to become the person I am. So it is a great opportunity and a privilege to be able to work and learn from Sally and Mark. I started my Level 3 Forest school leaders award in May 2016 and completed my outdoor first aid. I hope to start a course to qualify as Early Years practitioner and be able to help more children to experience the freedom to play with and learn from each other; to be confident in their abilities while discovering the amazing world that surround us. I have subscribed to the DBS update service please ask if you need to see my reference number. I lectured Sport Science, Psychology and Outdoor Education at Trafford College for 12years, where I taught on A Levels, Btecs, Uniform Services courses and finally headed up the NVQ team of staff. The opportunity to work for Crelos as an education consultant came along to deliver inspiring workshops to Young Gifted and Talented pupils. The aim was to enable pupils with high GCSE profiles from disadvantaged backgrounds to break the poverty cycle and to apply to higher education. A cause I truly believed in and could see we were making a difference. I Loved this job. Having my third child gave me the opportunity to rethink my direction. I knew I loved education, loved the outdoors, loved the woods so doing my Forest School level 3 was an obvious choice. I volunteered for Lancashire wildlife trust, NT Quarry Bank and a local school to enable me to do so. Working at Nest in the Woods gives me chance to work with amazing children in fantastic woodland environments. Children love any outdoor environment where they can explore, learn, experience and test them selves. They can have the freedom to work through problems and make great social connections. The benefits to learning outdoors has a great effect on shaping and developing a child’s future. Connecting with nature and seeing how we fit into the biodiversity of life is a skill all children can take forward to the benefit of the natural world. Term time hours gives me all the school holidays with my own children. You’ll find us in the sea, on the beaches, along the coastal paths and up Snowdonia’s mountains. In the winter holidays you’ll find us in the Lake District. If you have a wetsuit, waterproof and walking boots you can explore everywhere. I have Forest School level 3, Outdoor First aid, DBS on the update service, safeguarding, I have recently attended yoga training and am a member of the Forest School Association. I am a busy Mum to 3 boys who are all growing up way too quickly! I took several years out of my Primary Teaching career to be at home full time with the boys in their early years. I feel so fortunate to have had this time with them helping to build the foundations for their learning. Since they have all been at school I have returned to teaching on a supply basis and have worked in a number of schools locally particularly enjoying working in Early Years. I have always enjoyed the outdoors and throughout my teaching work have strived to provide a creative and holistic approach to learning as well as aiming to learn outdoors whenever possible. In recent years I have found the space in the curriculum for this approach has restricted these opportunites and this has fed my desire to move into outdoor learning in my job. I also volunteer in Scouting and run a Beaver Scout Colony and seeing the benefits and enjoyment the children get from these experiences further encouraged me to make the decision to pursue Forest School training. In September 2016 I started on my Forest School learning journey and after a thoroughly inspiring Initial Training Week I realised this was going to shape my future career choices. I completed my ITC Outdoor First Aid Certificate and then my Level 3 Forest School Practitioner Certificate in September 2017. Since qualifying I have delivered Forest School sessions within schools and have continued to see the huge benefits the child-led, holistic and creative approach has for the learners. I love to watch them grow in confidence as they learn to make their own learning decisions and manage their own risks and time. I’m thrilled to join the team at Nest in the Woods allowing me to become more fully immersed in Forest School learning. Outside of work and juggling the sporting calendar of our family I love to run, read and walk our dogs. We have a small woodland in Wales and also a caravan where we spend lots of time enjoying the coast. We also love to travel as a family and are enjoying exploring different parts of the world with our boys before they begin their own independent adventures! Since graduating from a BSc Product Design in 2009 I have worked as an art workshop facilitator, and play leader for the Greater Manchester Play Resources Unit play charity and scrap store (also known as GRUMPY), as well as working as a freelance workshop facilitator and illustrator. I have attended various courses about unstructured play, having the privilege of learning from experts in children’s play, including the late Dr Stuart Lester. Highlights included creating a float for the Manchester Day Parade, an art trail for The Mayflower Theatre in Southampton, and having my illustrations featured in magazines (the weirdest of which was for an article titled “Cycling and Paganism”)! In April 2018 I started my role at Nest in the Woods, having previously mainly worked with children aged between 5-15, I found that I really enjoy working with early years. I love a challenge, and working outdoors all year round gives plenty of opportunities for problem solving, as the children develop and the forest changes with the seasons. It’s been a great journey so far, there is never a dull day! In February 2019 I started my Level 3 Forest School Leader training, I’m excited to continue my personal and professional development with Nest in the Woods. Outside of work I do lots of camping, campervanning, eating, running, walking, and cycling, which satisfies my need for adventure. As a result of doing lots of cycling, I do lots of bike building, which satisfies my need for tinkering, my current obsession/project is fabricating a pair of cargo bikes to haul the dog and other stuff around (giving me even fewer reasons to use my car). I also continue to create illustrations, which I then sell online and at art markets. I’m completing my level 3 Diploma in early years. I’m paediatric first aid and outdoor first aid qualified and have subscribed to the DBS update service. My career caring for others started at Bolton Hospital during nurse training followed by posts at Leeds General Infirmary in the Surgical and High Dependency Units. Focusing on my interest in the individual, I retrained as a psychologist working in Liverpool specialising in research into appetite control and eating disorders. When the adventure of being a parent to my son began, I became a Teaching Assistant in the Early Years Unit at Grappenhall Heys Primary School delivering phonics and curriculum based activities with an emphasis on outdoor learning, including running an after school gardening club. My own love of being outside and my son’s development through outdoor play, led to an interest in child centred learning and after training as a level 3 Leader I set up a Forest School for pupils at Grappenhall Heys in 2017, which I continue to run. As part of my professional development I also became part of the Nest in the Woods preschool team in 2018. The combination of these roles, in Ofsted Outstanding establishments, have shown me that the process of Forest School develops a curious, independent and inquisitive child who can apply critical and creative thinking skills to the natural world in a playful, fun way. My favourite aspect of which, is seeing children have the space and time to explore their own abilities, at their pace, leading to a confident, resilient child. I’m paediatric first aid and outdoor first aid qualified and have subscribed to the DBS update service.